INDIA: Gamesa has announced a €60 million plan to double its manufacturing capacity in India by 2012. The company said it would open plants in the northwestern state of Gujurat and Tamil Nadu in the south. The investment forms part of Gamesa’s aim to increase its share of the Indian market by 166% over the next three years. Gamesa said the first factory would be opened in Gujarat and manufacture blades for the G5X 650kW turbine. Production of the G9X 2MW would move into the factory in 2012. Additional production capacity is set to come in the form of nacelle and tower plants in Gujarat and Tamil Nadu. The announcement comes as Gamesa opened its first research and development facility in Sholinganullar, Chennai southern India. It plans to recruit up to 200 engineers at the site by 2012. 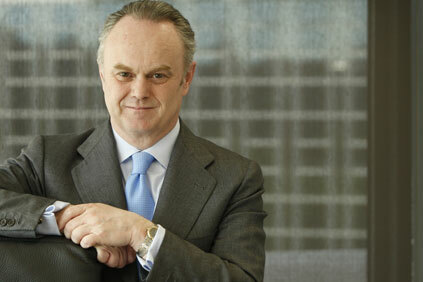 This week, Gamesa CEO Jorge Calvet denied rumours the company was looking to buy a share in Indian competitor Suzlon. However, Calvet said consolidation within the wind industry was ‘inevitable’. Last year Gamesa announced a three-year plan to lift its market share. It said that based on its 2009 figures, it would increase sales in the US, China, India and Latin America by 15%, 20%, 166% and 50% respectively. It also said it would aim to double its operations and maintenance contract capacity to 24GW by 2013.